The prevalence of oral cancer is high on a global level. Nearly 657,000 new cases of oral cancer are diagnosed every year around the world, according to the World Health Organization. If not diagnosed early, oral cancer can be life-threatening. 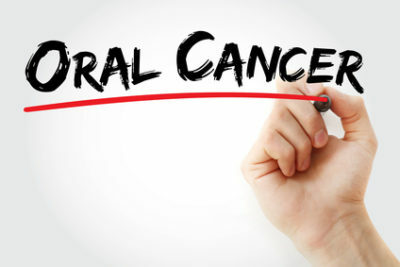 In this article, you will learn important information about oral cancer including the risk factors, diagnosis, and treatment options. Oral cancer refers to the cancer of the lips, tongue, hard and soft palate, the floor of the mouth, throat, sinuses, and cheeks. The cancer is caused due to uncontrollable growth of cells that cause damage to the surrounding tissues. Various risk factors have been identified for oral cancer apart from genetic predisposition. Among other health complications, excessive use of alcohol and tobacco also increases the risk of oral cancer. Heavy and moderate drinkers are said to be three to nine times greater risk of developing alcohol content as compared to non-drinkers. Moreover, individuals who chew or snuff tobacco are at about four times greater risk of developing oral cancer as compared to non-users. Studies have also found that long-term exposure to sun leads to increased risk of lip cancer. Sexually active individuals are also at risk of developing oral cancer. STIs such as herpes, HPV, Syphilis, and gonorrhea can result in oral cancer. Oral cancer can be diagnosed through physical inspection and imaging techniques. Some of the symptoms that indicate the presence of oral cancer include. FDA has approved different devices and techniques for carrying out a diagnosis. These include brush biopsy (cytology), tolonium chloride (tissue staining), light reflections, and fluorescence. These techniques are helpful in confirming the presence of oral cancer. The preferred method for detecting lesions is biopsy involving tissue sampling. Doctors also use imaging techniques such as magnetic resonance imaging (MRI) to know about the level of cancer. However, these techniques don’t replace biopsy for investigating the suspicious tissue. The treatment of oral cancer is formulated depending on the stage of cancer. The treatment plan generally consists of chemotherapy or radiation. Sometimes surgery is recommended for the treatment of cancer. Typically, the treatment plan involves different medical specialists such as dental hygienists, dentists, surgeons, and oncologists. All treatment plan emphasizes the protection of the teeth from decay, gum infections, and mouth dryness. In conclusion, oral cancer is one of the most prevalent conditions,particularly in the developed world. It’s important to take precaution to avoid the risk of developing cancer. The American Cancer Society recommends annual oral check-up for individuals aged 40 and above and every three years for individuals aged between 20 and 29 years. A regular checkup will help in early diagnosis of oral cancer. This will increase the chances of recovery from oral cancer. If you have any questions regarding Oral Cancer, or any other Oral Health topics, give The Gentle Dentist a call. We are located in Shelby Township, MI and can be reached at (586) 247-3500!